The Micro/Nano Optics Working Group develops novel micro/nano-structures, with a focus on X-ray optics. Exploration of new fabrication strategies, thin film materials development and performance testing of the fabricated optics are all parts of the process flow. We are especially interested in fabrication of high resolution and high efficiency X-ray focusing optics such as the binary Fresnel Zone Plate (FZP)1, multilayer-FZPs2 and kinoform lenses3. In the simplest case, a FZP is a set of concentric rings composed of alternating X-ray transparent and opaque materials. FZPs are usually fabricated via electron beam lithography (EBL) mostly limited to binary, planar structures. Fabrication of some efficient 3D structures using EBL is not very practical due to the complexity of the overlay EBL. We are working on a few alternative fabrication methods which lets us realize some truly three-dimensional optics. The fabrication methods we are using include Focused Ion Beam (FIB) micromachining and lithography (IBL), Atomic Layer Deposition (ALD), Direct Write Optical Lithography (DW-OL) and Reactive Ion Etching (RIE). Thin film characterization is an integral part of the process development. Both in-situ and ex-situ Spectroscopic ellipsometry (SE) is utilized heavily for optimization of ALD thin films. In addition, we are collaborating with the central X-ray diffraction (XRD) and transmission electron microscopy (TEM) groups with excellent facilities. The final performance tests of the fabricated lenses are carried out in a state-of-the-art scanning transmission X-ray microscope (STXM) called, MAXYMUS located in BESSY II synchrotron radiation facility. Last but not least, the accumulated expertise in various nanofabrication methods can be utilized for realization of a wider array of micro/nano optic devices for many different sub-fields of photonic science and engineering. 1. 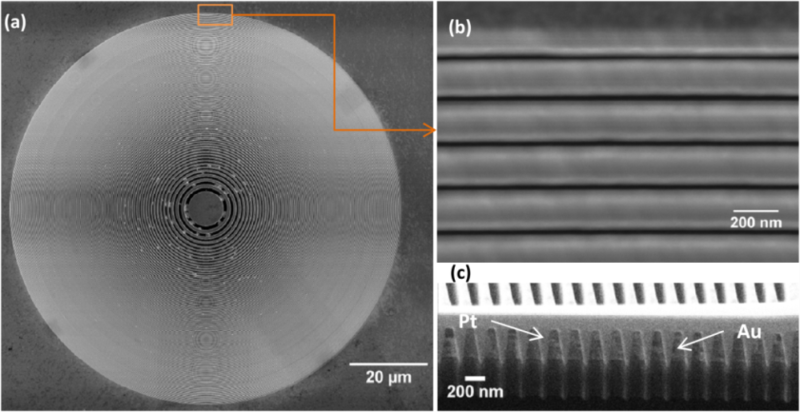 K. Keskinbora, C. Grévent, U. Eigenthaler, M. Weigand, and G. Schütz, "Rapid prototyping of Fresnel zone plates via direct Ga+ ion beam lithography for high-resolution x-ray imaging," ACS Nano 7 (11), 9788-9797 (2013). 2. K. Keskinbora, A.-L. Robisch, M. Mayer, U. Sanli, C. Grévent, C. Wolter, M. Weigand, A. Szeghalmi, Mato Knez, T. Salditt, and G. Schütz, "Multilayer Fresnel zone plates for high energy radiation resolve 21 nm features at 1.2 keV," Optics Express 22 (15), 18440-18453 (2014). 3. 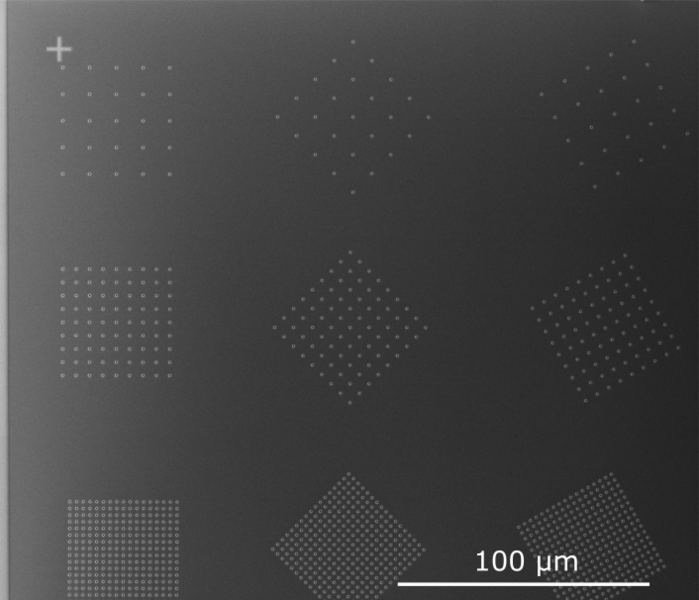 K. Keskinbora, C. Grévent, M. Hirscher, M. Weigand, and G. Schütz, "Single-step 3D nanofabrication of kinoform optics via gray-scale focused ion beam lithography for efficient X-ray focusing," Advanced Optical Materials 3, 792-800 (2015). 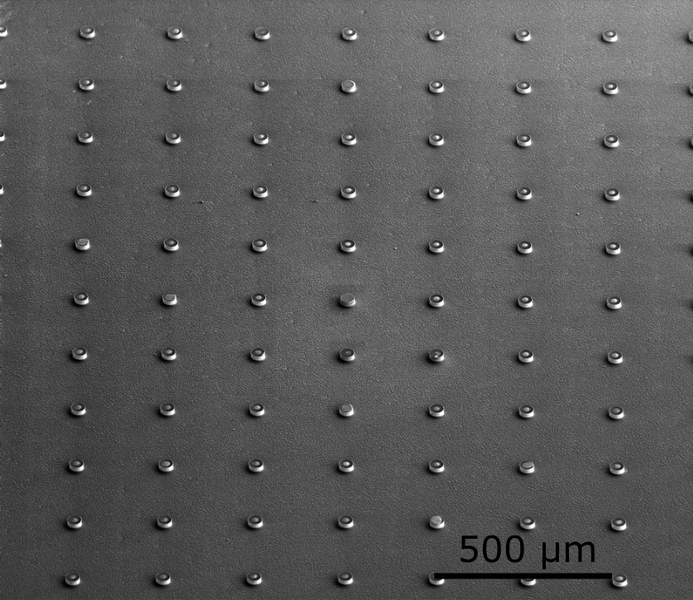 Fresnel zone plates are diffractive optics composed of alternating transparent and opaque rings blocking the Fresnel zones (hence the name) of a light source. ML-FZPs are very interesting for hard X-ray focusing as they have essentially limitless aspect ratios. Kinoform lenses are diffractive/refractive optics taking advantage of both modalities to ensure maximum efficiency. 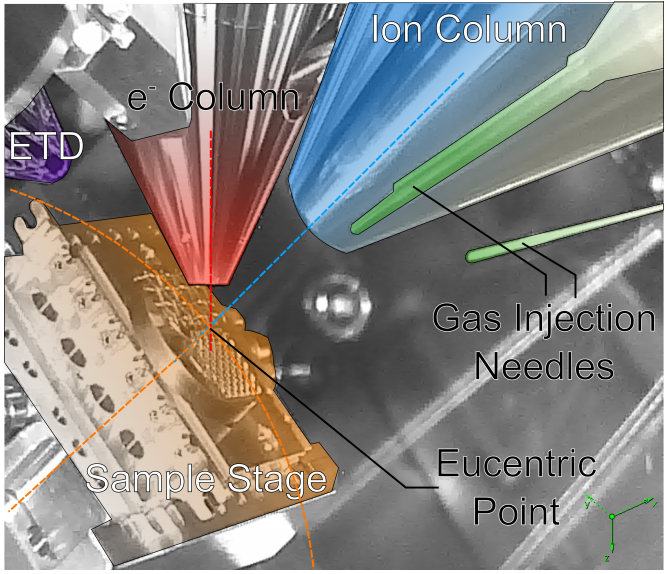 Focused Ion Beam (FIB) instruments are proved to be valuable tools both for materials analysis and for nano-fabrication. The ALD is based on the chemical vapor deposition (CVD) process, where the chemical reaction is separated into two half-reactions. In conventional optical lithography, a resist is exposed with UV light that is projected through a specially prepared mask to emboss the desired pattern. 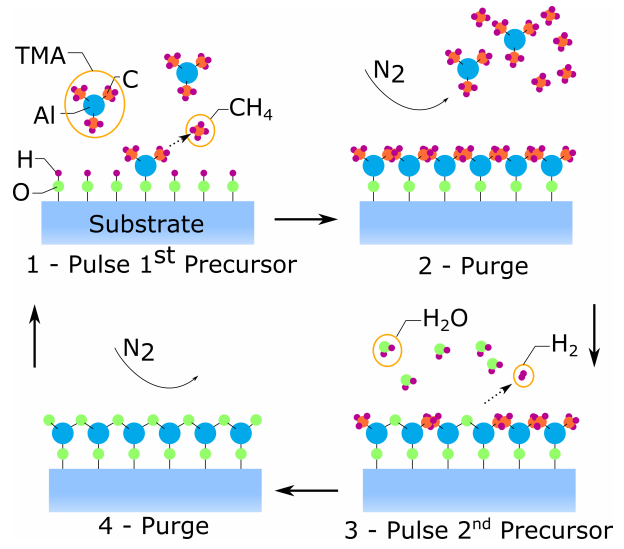 Reactive ion etching is a method where a masked material is subjected to a shower of ions often in the presence of reactive gasses for enhanced material removal. Spectroscopic ellipsometry is a very strong method widely used for measuring thin film thicknesses. The optics we fabricate, are often aimed towards the X-ray applications. Thin films of gold and silver, perforated with nanoholes and nanoslits have many applications in plasmonics, metamaterials and hyper lenses etc.